Voase Builders promote good community relations, we aim to minimise disruption to neighbours of our projects and seek to make a positive contribution to the local communities in which we operate. As an organisation we recognise that our activities within local communities have a wider impact on the society in which we operate, we therefore strive to ensure that all our activities have a ‘positive’ impact. The Company also pays 0.2% of YORbuild contract values back into the YORbuild 4 Good Charity fund, which is an initiative that has been set up for all contractors to give something back in value or resources to the local community. 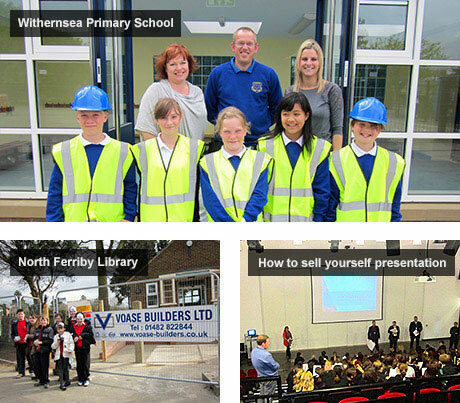 The Company supports the Considerate Constructors Scheme.